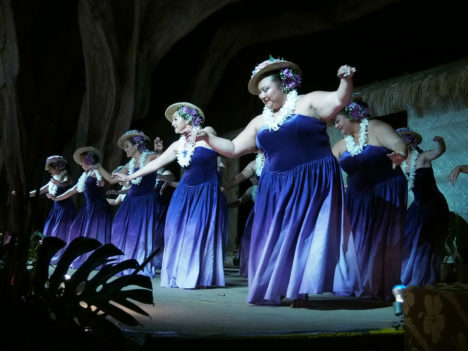 Moana’s Hula Halau’s annual fundraiser dinner show once again dazzled a captivated audience under the banyan tree at the Molokai Community Health Center last Saturday night. 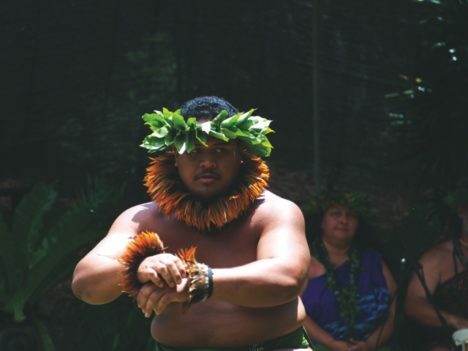 Now under the guidance of Kumu Raquel Dudoit, the halau has been dancing for more than 60 years, according to founder Kumu Moana Dudoit’s grandniece, Zhantell Dudoit Lindo. 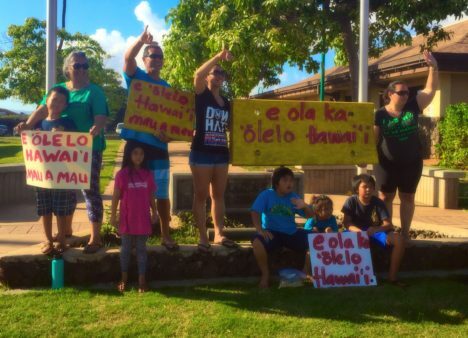 Each morning, students at Kualapu`u School start the day by joining together in chanting a Hawaiian `oli. 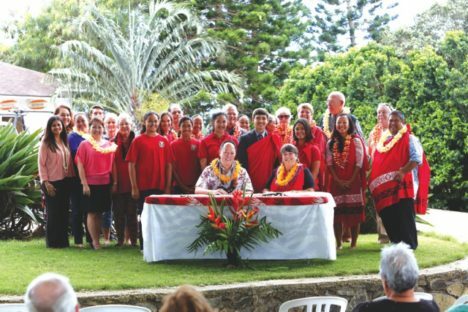 The third line of the `oli — “Aia i hea ka `uala Lanikeha e wili ai ka lei kalina” — talks about the Lanikeha varity of uala, or sweet potato, from Ho`olehua. This line will soon have special significance and visual representation on a shirt that will both celebrate February as Hawaiian Language Month and raise money to support Hawaiian language learning at Kualapu`u School. As arms were raised to declare champions, medals were awarded for their great accomplishments shown on the field at Ka Molokai Makahiki 2018. In the early years of Makahiki, various types of Hawaiian art — model koa canoes, paintings, `umeke, ipu wai, poi boards, feathered kahili — were given as awards, followed by certificates, T-shirts, and, more recently, medals created by artists from Molokai Heritage Company. 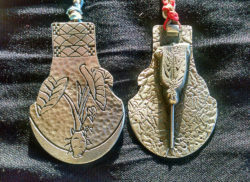 Last year’s medal was a pohaku ku`i `ai, a poi pounder, to remind us of our kuleana to keep Haloa (kalo) thriving by planting, harvesting, pounding and sharing that which sustained us for hundreds of years.